In their publication “Understanding electrostatic and magnetic forces in magnetic force microscopy: towards single supermagnetic nanoparticle resolution” Alexander Krivcov, Tanja Junkers and Hildegard Möbius describe methods to suppress capacitive coupling effects in MFM hiding the magnetic signal of magnetic nanoparticles. During MFM measurements performed in an interleave mode moving the tip at a certain distance to the sample surface the tip is exposed not only to magnetic forces but to electrostatic forces between tip and substrates. In case of analyzing nanoparticles laying on a flat substrate, the electrostatic forces changes noticeably with increasing tip to substrate distance whenever the tip is retracted over a nanoparticle. This capacitive signal may overwhelm the magnetic signal that should be detected instead. The authors propose several approaches to reduce these capacitive signals. The change in electrostatic forces could be minimized by avoiding retraction of tip over the nanoparticle. Therefore, it is proposed to use interleave linear mode following a linear approximation of the sample surface instead of the interleave lift mode following the sample surface as measured. By that, changes in distance between sample substrate and tip at the nanoparticles are avoided. Moreover, they propose using a substrate with a work function comparable to that of the tip in order to reduce electrostatic forces, in general. By applying an appropriate tip bias remaining electrostatic forces could compensated and further suppressed. Finally, the authors suggest using a tip that is as sharp as possible for decreasing the area of the capacitor and NANOSENSORS SSS-MFMR probes are the best choice for this. The impact of the above mentioned optimizations have been validated experimentally by the authors. Finally, it turned out that if using super sharp magnetic tips further methods suppressing capacitive effects were not necessary. The authors were able to detect superparamagnetic nanoparticles at the single particle level on copper substrate with a NANOSENSORS SSS-MFMR probe without using additional parameters as e. g. tip bias or external magnetic field. 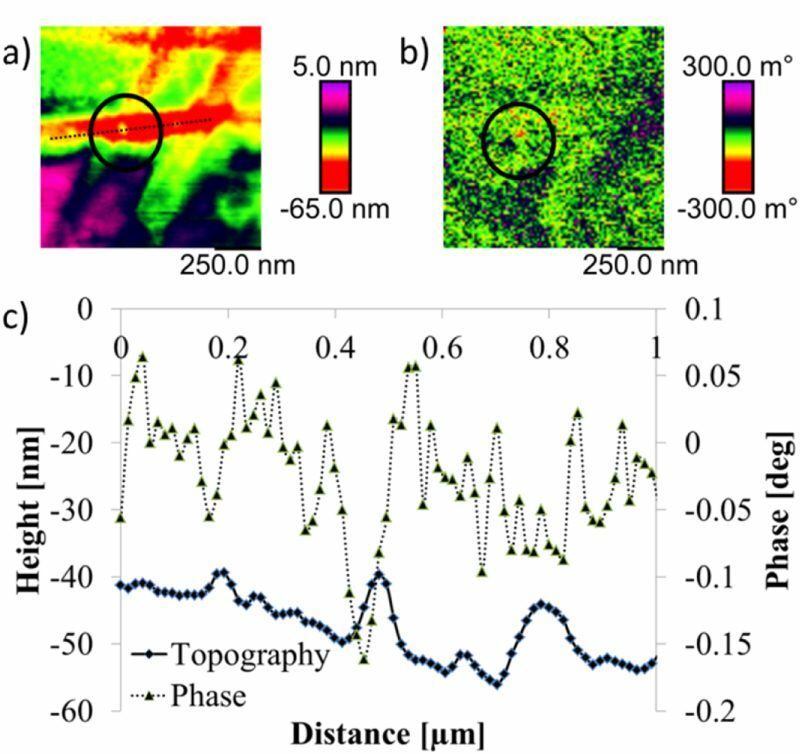 The article “Understanding electrostatic and magnetic forces in magnetic force microscopy: towards single superparamagnetic nanoparticle resolution” by A. Krivcov, T. Junkers, and H. Möbius is licensed under the Creative Commons Attribution 3.0 License. To view a copy of this license, visit http://creativecommons.org/licenses/by/3.0.